This option is used for marking on moving parts. 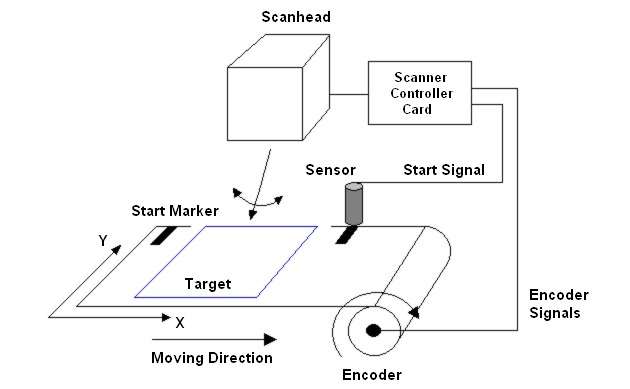 The compensation of the target drift is achived by an external encoder connected to the USC card. A simulation mode is available emulating constant speed. In this mode no external encoder is needed. Compensating linear movements is possible as well as marking on rotating parts. Different control objects are available to mark jobs larger than the scanning area.